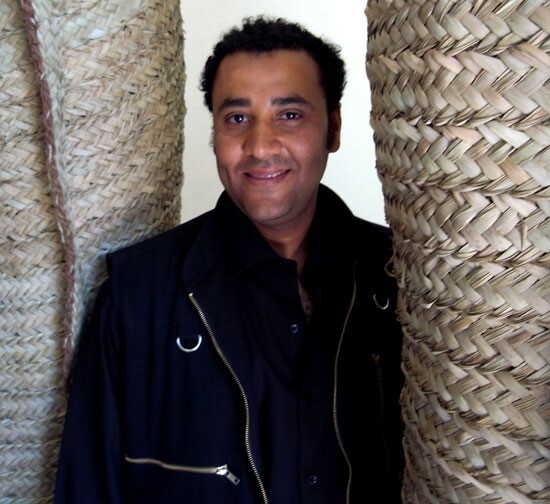 Ahmed Askalany‘s sculptures are on view at Egyptian pavilion at Venice art biennale 09. ‘Lightly monumental’ the title of the exhibition was commissioned by Egyptian artist Adel Al-Siwi. Askalany’ sculpture presents itself as an empty appearance, displaying fragility. The sculpture is produced with simple techniques, similar to a girl’s hair weaving, with natural colored palm leaves. The work aims to captivate the essential gestures and shapes of a humanity that is free from aggressiveness and a dark side. ‘Simplicity is my philosophy – to convey the idea directly to the viewer without going into detail.’ – Ahmed Askalany.